We've talked a lot about the wonderful benefits of linen. From durability to comfort, linen is truly a multifunctional fiber. Better still is its ability to adapt between the seasons; linen blankets and throws effortlessly change depending on the season's needs and will help you get a perfect night's sleep. It sounds impossible, but linen can actually be warm in the winter and cool in the summer. What more could we ask from a year round blanket?! Here is how it works. In the midst of the winter, your blankets have one job: to keep you warm and cozy. With natural insulating properties, linen can do just that. Linen is able to retain heat and warmth from your body to keep you soundly sleeping all night long! We also do a lot of layering with our linen blankets. That way, you can mix and match all season long since linen will last you all year round! As a naturally lightweight fiber, it makes sense that linen would breathe well in the summer. 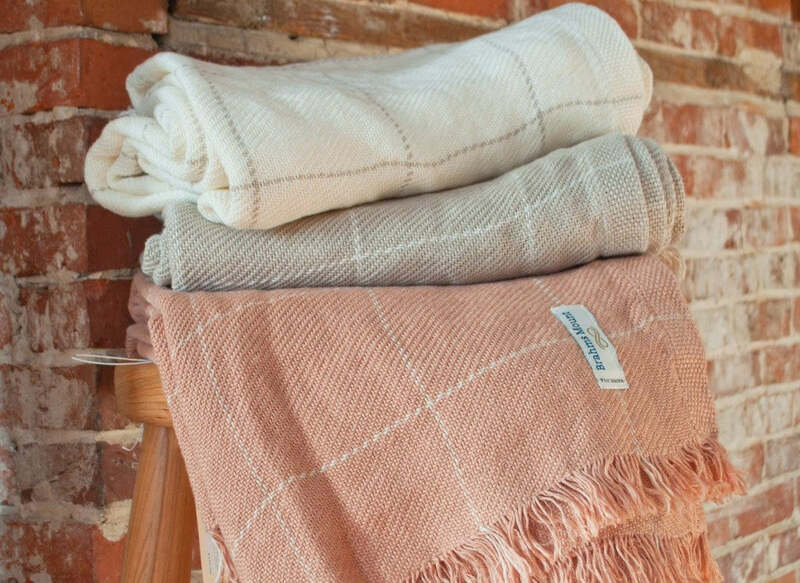 Since many of us enjoy sleeping with something on us, that makes a linen throw or blanket the perfect choice. In addition, linen will actually help rid the body of heat. This fiber has the ability to keep you cool as apart of its natural properties. Not only that, but linen dries quickly; it is able to wick sweat away from the body. With the ability to both keep you warm or cool while you sleep, linen is truly a fiber that pulls double duty. Learn more about linen by contacting us or check out our linen inventory today!